Hey everyone! 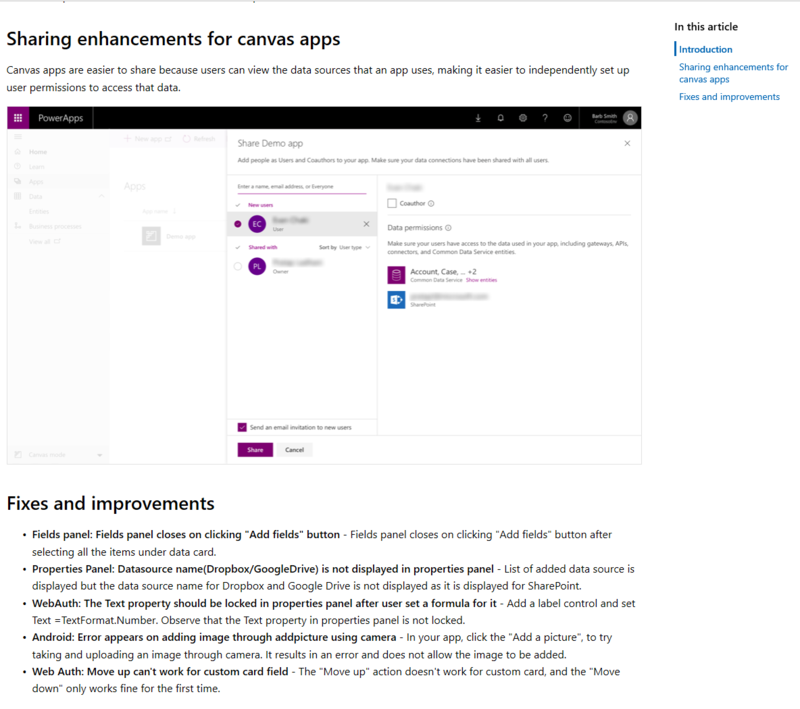 While you have been building stunning applications on PowerApps, you’ve requested a way to view the latest enhancements and new features that our team is releasing each week. 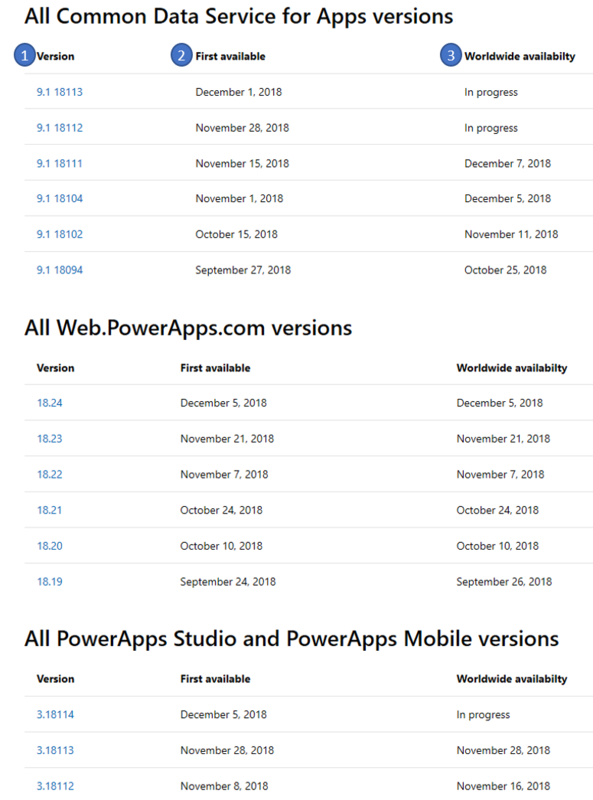 Today we are launching PowerApps Weekly Release Notes. This will give you visibility into the latest features and optimizations that we’re shipping on a weekly basis. Over the past few months we’ve listened to your needs and are formally launching Release Notes that will provide you the following information. How to navigate the Release Notes page? How is each release setup? As you start exploring the content for each version, you’ll notice two sections. 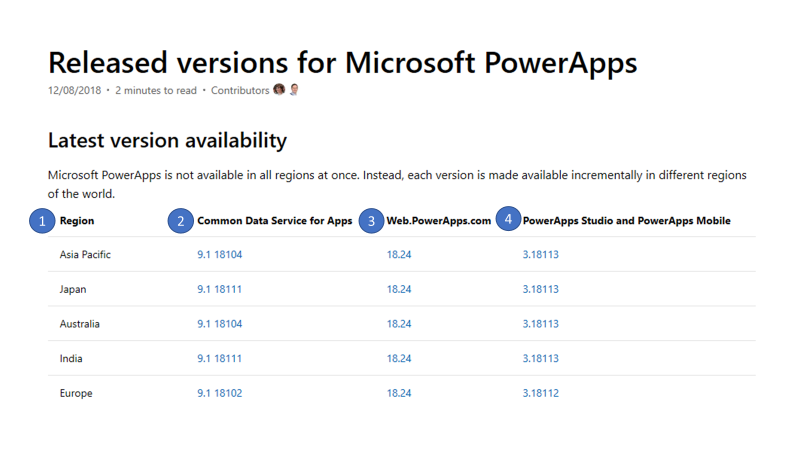 Every week, we’ll publish the release notes on this site https://docs.microsoft.com/business-applications-release-notes/powerplatform/released-versions/powerapps. We will also publish a blog every week summarizing the release notes, so you may as well subscribe to the blog RSS. We’ll continue to make incremental updates to the release notes so that it’s not only insightful but also easier for you to consume. Looking forward to hearing your feedback, so that we can continue optimizing the release notes. O PowerApps é um serviço destinado à criação e utilização de aplicações empresariais personalizadas que se ligam aos seus dados e funcionam na Web e em dispositivos móveis, sem necessitar do tempo e da despesa associados ao desenvolvimento de software personalizado. Introduza a conta escolar ou profissional para começar. Ao inscrever-se, concorda com os termos de serviço.